My daughter and her boyfriend were going to the wedding of some close friends and wanted to give them a gift they would remember so she asked me if I could make a Guest Book where Instax pictures could be stuck in and messages left on the day. 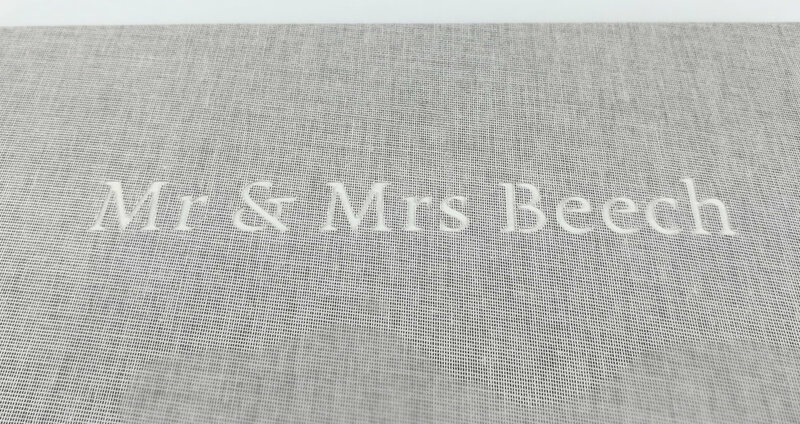 I used a classy grey cloth and cut out the happy couple's names on the front. They'd already had a ceremony in Cyprus a couple of weeks before so I borrowed a picture from their Facebook page and printed it on the title page. 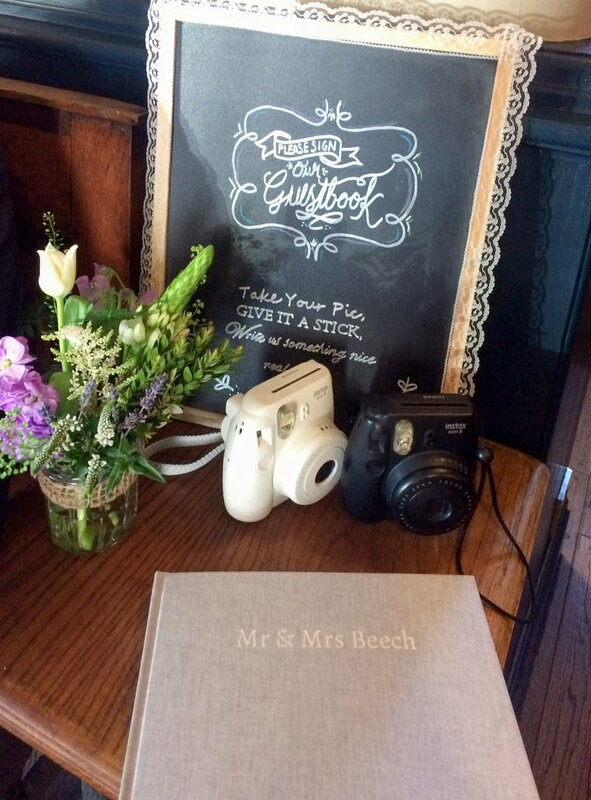 It's not often I get to see my books in use so I was pleased to be sent a couple of shots of the book being filled in.